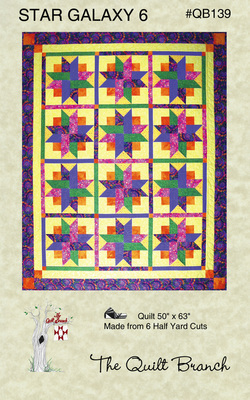 A quilt in the Six Halves Make a Whole series, choose a bundle of 6 half yard cuts, background and border and let the stars shine in this 50" X 63" lap size quilt. The sashing and cornerstones are part of the half yard cuts. ​Try this in your favorite decorating theme or for Christmas.